ESMA released some important opinions over the summer. A crucial and highly relevant paper concerns the UK’s forthcoming withdrawal from the EU and “addresses cross-sectoral regulatory and supervisory arbitrage risks that arise as a result of increased requests from financial market participants seeking to relocate in the EU27 within a relatively short period of time”. Whilst this is the main focus of the paper there are also a number of areas where ESMA has provided “clarity” in areas that do not immediately concern Brexit. Since the inception of the AIFMD regime it has been anomalous that hedge funds/private equity funds etc. regulated under the AIFMD, are subject to a more onerous regulatory regime than UCITS. In the paper ESMA make it clear that they think that all UCITS investors should have at least the same level of protection as AIF investors and that this approach should be transposed into law. This will clearly give rise to an increase in the risk oversight in, for example, on-going stress testing of UCITS and the monitoring of liquidity risk of the funds, areas where UCITS legislation is far less prescriptive than the AIFMD. In anticipating the movement of regulated entities from the UK to EU domiciles, ESMA has clearly seen the need to strengthen its ability and the ability of NCA’s to oversee these newcomers. Since the publication of the AIFMD, regulators have had “letter box entities” in their crosshairs and this is another area where greater “clarity” has been provided to funds considering relocating their operations. Firstly, ESMA consider that “at least three full time employees” are required to provide a minimum level of substance, and in its absence additional scrutiny by the NCA is required. Specifically these employees are required to be in the areas of portfolio management / risk management and monitoring of delegates. 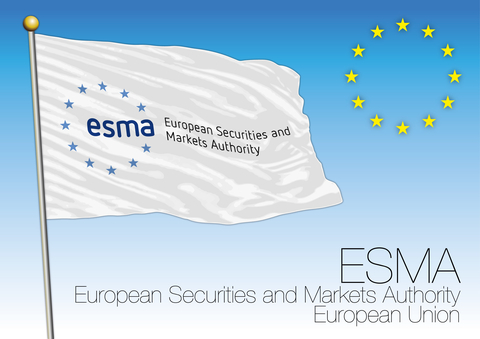 Secondly ESMA is firmly of the opinion that re-locating entities have to transfer the majority of their portfolio management and /or risk management functions into the new entity. Given that investment management is unlikely to move (even in a very hard Brexit) the likelihood is that re-locating entities will have to add a significant amount of substance to their risk management operations in their new locations. It is clear that in attempting to limit regulatory arbitrage as BREXIT approaches ESMA is highlighting minimum standards on substance that it deems vital to avoiding a proliferation of letter box entities appearing across member states. It also places UCITS and AIFMs on the same regulatory footing. Finally ManCo’s will be required to “substance up” to an extent that, for example, should risk management be retained by the ManCo (and portfolio management delegated to the IM) it maintains “substantially” more relevant risk management human and technical resources within the structure. Clearly this will be quite a challenge for many ManCos and fund platforms. Annex IV – too early to critise?